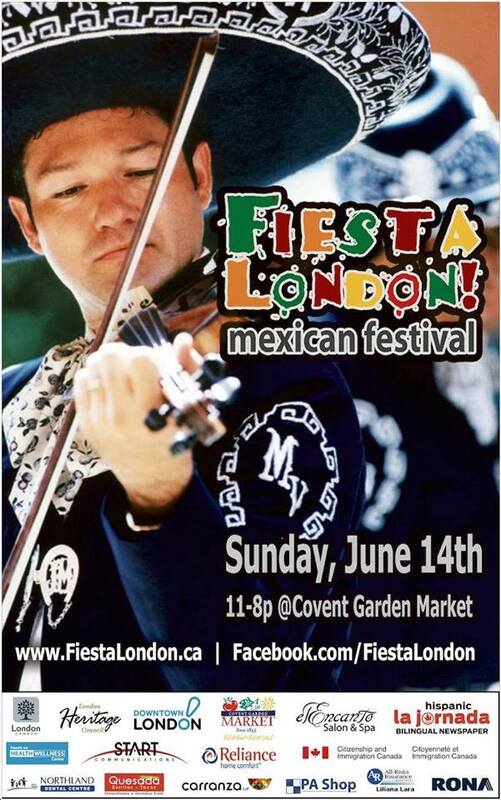 Fiesta London is bringing the sounds, culture and taste of Mexico to London this weekend! Come to the Covent Garden Market on Sunday, June 14 from 11:00am to 9:00pm for a beautiful cultural experience for the whole family. This year, there are five fun ways for you to get involved: the chihuahua parade, the jalapeno eating competition, the taco eating contest, the Mexican charro scream contest, and the burrito eating challenge. There are great prizes for the winners! If you are interested in being a part of any of their contests, please register in advance HERE. The schedule is jam packed with live music, dancing, folklore, pinata breaking, and even a chihuahua dog parade! There will be food and lots of entertainment. All are welcome to this family event. The Festival of Trees is on now at the Covent Garden Market, downtown. This annual event, brought here by The Lung Association of Ontario, is perfect for people of all ages and is a fantastic place to take the children. Come and enjoy the decorated Christmas trees and holiday decorations, get something to eat, catch up with Santa Claus and just enjoy this charming introduction to the holidays. Admission is free! Covent Garden Market, upper level, 130 King Street.